Supreme Court Justice Louis Brandeis famously remarked, “Sunlight is said to be the best of disinfectants.” While sunshine is known to kill bacteria, it can also cure people. 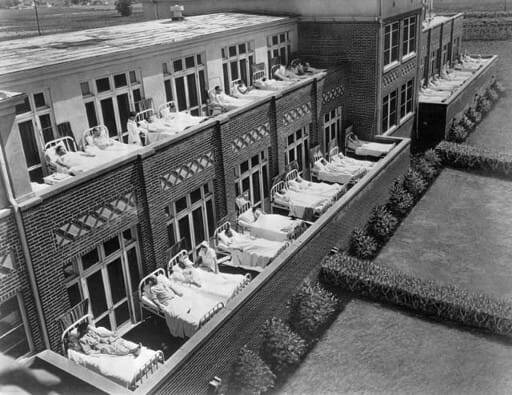 During the tuberculosis pandemic, visionary architects designed hospitals that enabled maximum exposure to sunlight for recovering patients—and they recovered faster than patients not exposed to sunlight. Today, strategic use of sunlight has been shown to promote faster recovery from depression. 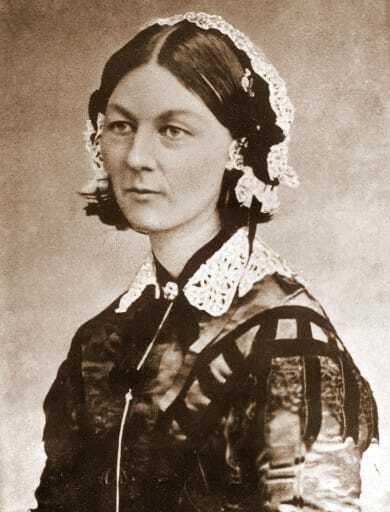 Pioneering nurse Florence Nightingale was rigorous not only about kindness and cleanliness—she maintained meticulous statistical records about her patients, to determine the most effective treatment practices. In addition to encouraging good ventilation, promoting adequate sleep, providing a nutritious diet, and allowing plants and flowers in the sickroom (she knew that they provide oxygen and consume carbon dioxide, as well as provide a pleasant focus), Nightingale was an enthusiastic proponent of allowing as much natural light into the patient’s room as possible. As she said in Notes on Nursing, “It is the unqualified result of all my experience with the sick, that second only to their need of fresh air is their need of light…. And that it is not only light but direct sun-light they want.” She knew that her patients in rooms facing east recovered more quickly than those in rooms facing other directions—or in windowless rooms. She observed her patients turning their faces toward light and compared them to plants following the sun in its course across the sky. In 1903 Swiss doctor Auguste Rollier opened his “sunlight clinic,” which featured an enormous solarium on the roof and developed a slow, careful tanning process for new or especially feeble patients. Deep in a Finnish forest, in 1929 architect Alvar Aalto built a sanatorium that prioritized access to natural light, enabling patients to benefit from the sun while resting comfortably in their rooms. And in the early years of the 20th century, my grandmother’s parents ran a tuberculosis sanatorium in the beautiful small town of Otwock, Poland. The air was clear, the climate was sunny, and the patients—when they weren’t eating one of their eight daily meals—spent their time lying quietly in the sun, well bundled up in autumn and winter. Pioneering chronotherapist Francesco Benedetti and his colleagues found that patients suffering from bipolar depression who were placed in rooms with an eastern exposure recovered almost four days faster than patients whose rooms had a western exposure. Similarly, another study found that patients admitted to two hospitals for depression—one with sunny rooms, one with darker rooms—stayed approximately three days less if they were in the sunnier rooms. Benedetti also demonstrated that sunshine can be an effective, non-invasive, and safer intervention for bipolar depression, which can be tricky to treat as antidepressants frequently trigger a manic or mixed episode of the disorder. If administered soon after the onset of the depressive episode, sunshine can quickly alleviate depression without the risk of a subsequent mania. A 2013 study of patients with cystic fibrosis and comorbid depression suggested that exposure to light significantly improved patients’ chance of depression remission. As I prepare for a (non-SAD related) surgery later this spring, I’m definitely going to ask the hospital if I can be placed into a room with an eastern exposure. And after I go home, I’ll be sure to spend plenty of my recovery time relaxing (well-sunscreened) in Central Park, soaking up the healing sunlight. Abigail is a Columbia-educated clinical social worker and certified alcohol and substance abuse counselor. She uses light therapy to cope with her annual seasonal affective disorder, and also manages chronic insomnia through acupressure and good sleep hygiene. She has worked with formerly homeless adults, ex-offenders on parole, recovering heroin users, and other interesting populations. Abigail’s posts at the Center for Environmental Therapeutics fuse humor with practical insights about mood, sleep, and alertness–a combination we wanted to share with the world beyond cet.org. She advocates a holistic approach to health and wellness.